Come for a lesson in art history, stay for the colorful charm. 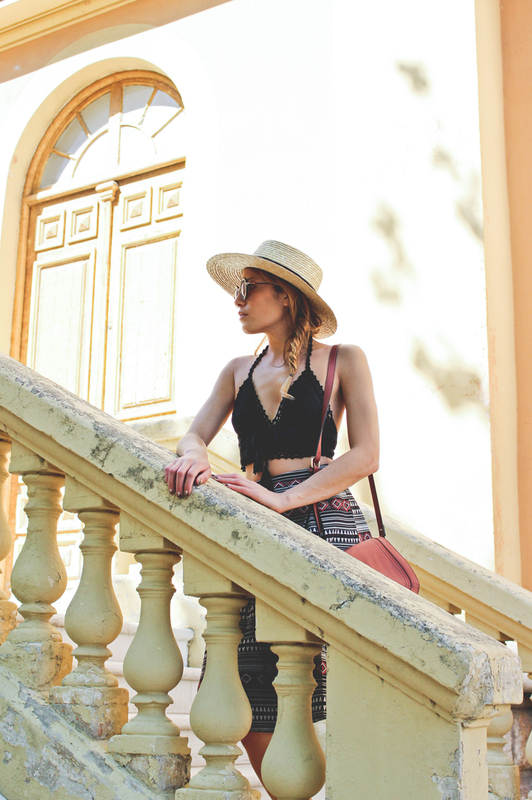 Kendall x Kylie crochet top, Lord & Taylor tribal skirt, Straw boater hat, Derek Lam Madison sunglasses, Liza crossboday bag c/o French Connection, Georgina sandals c/o Rebecca Minkoff. Shot by Isaac Lacey in St-Paul-de-Vence, France. Not sure about you, but I like my vacations to be a perfect mix of sightseeing & relaxation. 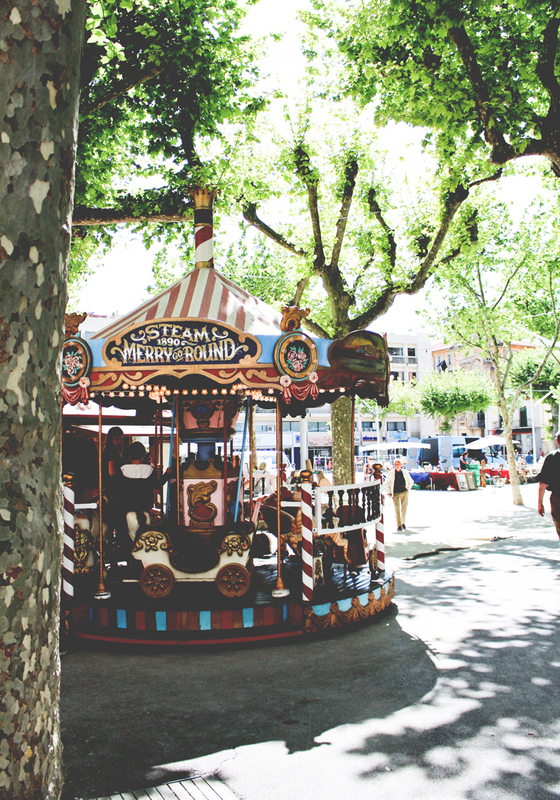 Lucky for me, the French Riviera offered plenty of occasions to do both. If you're staying in the Nice/Monaco area and looking for something cultural to do (cause drinking rose through breakfast, lunch and dinner doesn't count), I highly recommend driving over to St-Paul-de-Vence. Perched in the mountains above Nice, it's a mouth-dropping-beautiful little commune that also happens to be one of the oldest medieval towns in the Southeast. While it can be a little touristy during the day (sorry, still don't own a selfie stick & I never will), it's still well worth the visit. Take some time to walk around the winding cobblestone streets & peruse the modern art galleries and cafes that line the way, or check out my little guide below for some must-see spots & a few other things to do nearby. • Lunch w/ a View: Grab a seat at the adorable La Petite Chapelle, just below the main pedestrian entrance to St. Paul's walled city. It's quieter than the spots you'll find within, the Steak tartare (pictured above) is deadly and the view from the terrace pretty much rocks. • Be an (Artful) Rebel: Break all the rules and sneak into the world famous La Colombe D'Or, St. Paul's ritziest hotel that boasts an incredible history to boot. While you're 'technically' not supposed to enter the property unless you have dining reservations (good luck getting those!) or are staying in one of the less than 30 rooms, I just had to go in to check out their renowned collection of art (it's not everywhere that works by Picasso, Miro and Chagall just line the walls to the bathroom) and their chic pool area (see above). My tips for sneaking in? Throw on some shades and act like you belong there. Best of luck. 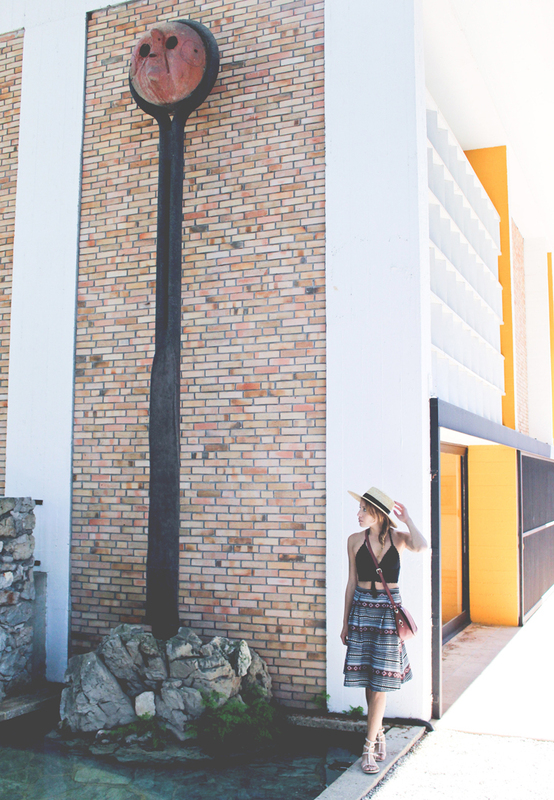 • Museum Must: Though a little pricey, the Fondation Maeght, just a quick walk or drive out of town, is well worth the hole in your pocket. It's truly such a stunning property with some of the most unique artworks, many of which were created specifically for the space (including a Chagall mural & a Miro sculpture garden... nbd). A few of these pics w/ sculptures in the background were snapped there, but beware - you have to pay 5 euros to shoot on the property. Well worth it if you ask me. • Art meets Life: About a 10 minute drive out of town the Chapelle du Rosaire in Vence stands as a beautiful tribute to the intersection of art and faith. Designed by Matisse, the small, unassuming building is lit up from within by his creative spark and colorful imagination. See above for a sneaky snap I took while there (raise your hand if you also love breaking no photo rules). 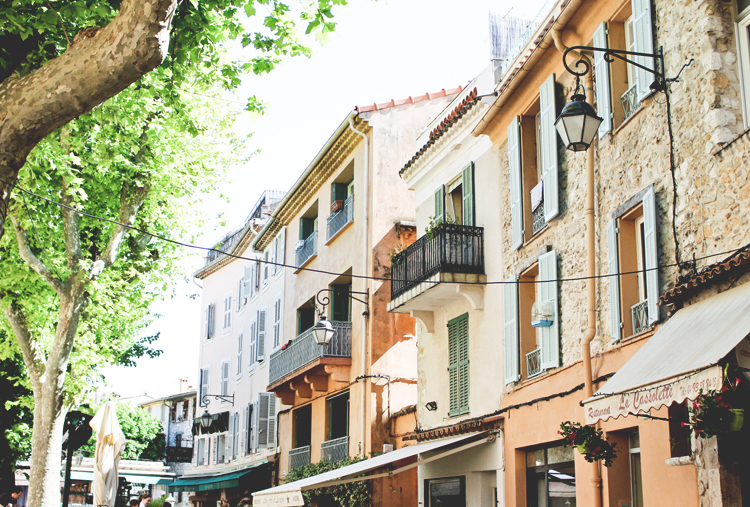 • Modern Art w/ a Twist: Drive back to Vence and head to the Musee de Vence (also known as the Fondation Emile Hugues) to check out modern art housed in the old Mayor's office. It's a beautiful building and worth walking around the area afterwards. The streets are much quieter than St. Paul but equally idyllic. Oh and the ice cream at Jeff de Bruges is unreal. Just saying. This blog post is INSPIRING! I especially love the bralette and sunglasses! 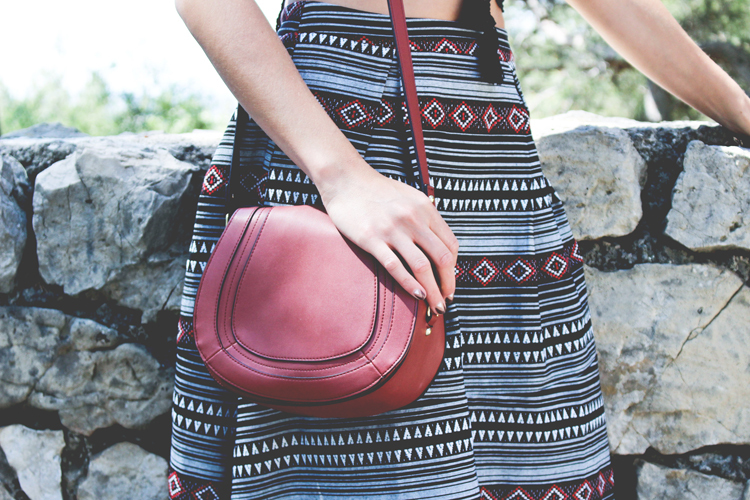 The Chloe Shoulder Bag fits you well, and the dress is very beautiful on you. You're gorgeous. Discover a large collection of top fashion designer bags at http://celebsbound.com/. This look is so feminine and gorgeous, but really unique! I love the peach culottes SO much!